Our homepage is the gateway to our site, with links to all of our pages and a brief overview of our features and amenities. Learn about our hotel's colourful past on our "History" page. Our "Accommodations" page offers detailed information on the features and furnishing in each of our many room types. On our "Amenities" page, you'll learn about everything we have to offer apart from our rooms, such as free parking, free Wi-Fi and complimentary breakfast. Visit our "Dining" page to discover the delicious delights available at our onsite Royal Hotel Cafe and Wilde Oscar's at the Wellington. Our "Meetings" page showcases our special event venues, suitable for gatherings big and small. Learn about local attractions and history on our "Chilliwack" page. Stay up to date on current events and attractions with always-fresh articles on our exclusive hotel blog. Check out our virtual tour to get an up-close look at the historic treasures that await you here at the Royal Hotel. If you're seeking employment in the hospitality industry, check out our Employment page for the latest Royal Hotel job postings. 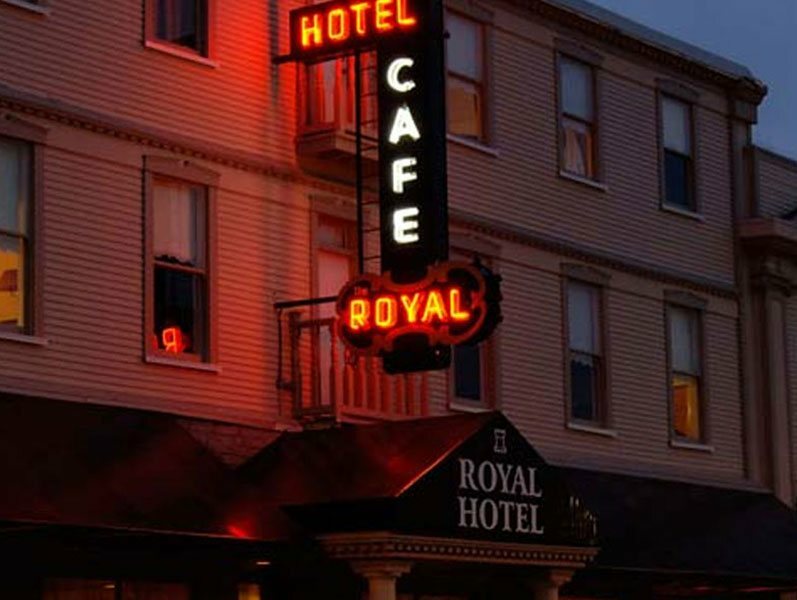 Visit our "Contact Us" page to find out how to get in touch with the Royal Hotel.